The Arabic Network for Human Rights Information (ANHRI) condemned today the arrest of Iranian child rights defender “Athena Vrkdana” on the day before yesterday, Saturday, January 10th, against the backdrop of publishing a video on “YouTube” in which she talks about her psychological and physical torture while she was jailed inside “Evin” prison. The activist “Athena Vrkdana” has been arrested on Saturday, January 10, 2015, after she had published a post on “YouTube” in which she talked about her psychological and physical torture, and the degrading experience she went through as she was forced to take off all her clothes and she also revealed the existence of cameras inside the women’s bathrooms at the women ward inside “Evin” prison, and after that, the security agents detained her on Saturday and beat her up severely during the arrest in front of her parents, and then took her to the “Fretshek Warmen” prison in downtown “Tehran”, where the Revolutionary Court accused her of new charges. It is noteworthy that activist “Athena Vrkdana” has been arrested about 6 months ago after she organized an exhibition on child rights violations in Iran, also her role in supporting the families of political prisoners and those who died during the Iranian uprising in 2009 was one of the reasons behind her incarceration in “Evin” prison, where she started a hunger strike after month and a half of her incarceration, which eventually led to her release on bail because of the deterioration of her health condition, pending her appearance in front of the Revolutionary Court of “Tehran”. ¨The Iranian authorities continue in a series of violations that targets the activists and opinion makers, and follows a policy of torturing and targeting them.” Said ANHRI. 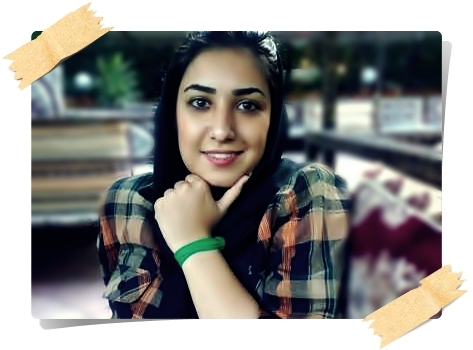 ANHRI sees that the targeting of activist “Athena Vrkdana” was due to uncovering the human rights violations practiced by the Iranian government, which is an additional crime to be added to the record of such an anti human rights government for a long time. ANHRI called on the Iranian authorities to immediately release activist “Athena Vrkdana”, and drop all charges against her, and to open an immediate investigation into the alleged violations that took place inside “Evin” prison. The Arabic Network for Human Rights Information renews its demand to the Iranian authorities to stop targeting activists and opinion makers in the country.